"Excellent User experience, organization and functionality "
I specifically use this for submission of promotional pieces to the client and I like the ease of searching for references based on reference number or name of reference when linking references and supporting materials to the promotional piece. I like the ease of submitting to QC quickly and effectively and being able to make updates and upload projects quickly with ease. The organization of the platform is also nice to search for references and see where certain references have been used in other promotional pieces and to view those specific promotional pieces. I dislike that when there are anchors in references that are already created (and sometimes incorrect) then you cannot modify them in anyway. Or if there are multiple anchors over each other you cannot delete or there is no option to prevent that from happening OR if an anchor was made in error it is there forever. I would like searching for an anchor with the reference number to show only the correct result, not all the results that contain all the words and reference values that I have searched. Quickly and effectively tracking changes made by the client or reviewer and making those changes. Also being able to see version history, previous links, previous comments and responses to comment to see how a promotional piece has changed or why specific changes were made. Overall, the ease of use of this product is wonderful! "Standard document management software that works for Quality Docs"
I like how the search function works and be used for easy searching of documents in the cloud. I like how you can easily view the interconnection between parent and child docs/forms. I like how my tasks are organized and easily visible for me when I log in. I don't like how it is not possible to see past versions of docs. Sometimes I need to see previous revisions but these do not seem to be saved or are not easily accessible on Vault. Easy solution for pharma companies to manage docs. We use Veeva Vault Quality Docs to manage our Quality documents for manufacture and licensing of pharmaceutical products. Solid, configurable, geared up for pharmaceutical sales activities. Great if you are familiar with SFDC. There is an iPad version app is called iRep, convenient and easy to use. UI feels a little outdated, the system can be somewhat clunky or not particularly intuitive in terms of the user's journey. I like how quickly you can switch views in this software and schedule weeks, routes, or simply a day at a time. I wish there were more ways to edit fields inside the CRM. Some of that inefficiency may be company-directed, however. It’s a way we’re able to track customers, add them, and watch their sales progress. I have grown relationships through using this and gotten th correct resources to customers because of the way we’ve been able to incorporate them with the software. If not fro Veeva, I could not perform my job to the best of my ability. It keeps all my customers in a detailed manner. I wish the sync times would be cut down as it sometimes takes a long time to sync. I'm able to see sales data, customer data, and many other different types of data while calling on customers throughout the day. "Veeva CRM for Pharmaceutical Sales Professionals"
Layout is user friendly and quick to navigate inside the app. Contact with support may be an issue if you have a large database. 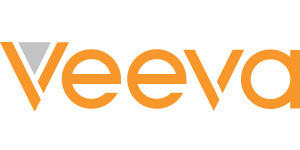 Veeva is an excellent everyday CRM system to organize calls and targets. I can easily schedule meetings and appointments inside the app. It is built around the specific function of sales in high end tech. Organizing which comapnies function and sell bio tech. "Pharma Marketing/Advertising Firms like it"
Solid, configurable, geared up for pharmaceutical sales activities. There is an iPad version app is called iRep, convenient and easy to use. Ensure it can be tailored to your requirements and that the features offered satisfies those BR's. That its user friendly and I can get behind it. That it isnt the easiest program to learn. Whatever problems my company needs solved. "Easy user interface and intuitive "
Vault makes it very easy to reference and annotate papers and presentations. It takes something that can be extremely time consuming, and makes it as streamlined and simple as possible to get your work done. Sometimes when pulling annotations/comments through they no longer line up and make it hard for reviewers. Simplifies the approval process for medical Communications. Needs more structure, would like a notes section for each account to keep track. Many changes made as a user to an account to not carry over to other accounts causing exceptions. user interface. Mobile experience needs to be improved. Explore lightning platform. How you must enter calls on accounts bot individuals. The matrix ways of working. Effective planning and execution. This program seemed like a logical choice for improving productivity by eliminating repetition and unnecessary human error. I didn't get to know the program enough to find a dislike. Eliminating unnecessary steps for the team. "Using Veeva CRM for sales call management and sample accountability"
* We monitor all Veeva CRM Suite reviews to prevent fraudulent reviews and keep review quality high. We do not post reviews by company employees or direct competitors. Validated reviews require the user to submit a screenshot of the product containing their user ID, in order to verify a user is an actual user of the product.